Carbonyl compound can be divided into aldehydes, ketones and carboxylic acids. Aldehydes are more susceptible to oxidation reaction than ketones. The C of the carbonyl group has a partial positive charge, while the O has a partial negative charge. Carboxylic acids are carbonyl compounds very acidic and can be amphoteric. Inorganic chemistry, a carbonyl compound is an organic molecule that has a carbon atom with a double bond attached to an oxygen atom. This group is the acyl group (R-C=O) with another substituent attached to it. The R part of the structure can be any alkyl, alkenyl or alkynyl group. It can also have other functional groups attached to it. Carbonyl compounds can be divided into two groups. One category is composed of the aldehydes and ketones, the other one composed of the carboxylic acids and their derivatives. These two groups generally differ in their kinds of properties and the type of reactions they are involved in. The functional group carbonyl group (figure 1) is composed of carbon and oxygen atoms connected by a double bond. The hybridization of the carbon atom is sp2 and the oxygen atom forms one sigma and pi bond to the carbonyl carbon. It also has two non-bonding pairs of electrons. The difference in the electronegativity values of O and C creates a partial negative charge on the oxygen and a partial positive charge on the carbon. Therefore, C-O bond is polar in nature and this is the base of the reactivity of this type of compounds. These two compounds are derivatives of a hydrocarbon by substitution of two hydrogen atoms in the same carbon for one of oxygen, giving rise to an oxo group (= O). In aldehydes, the substitution takes place on a primary carbon and is named with the ending -al. In ketones, the substitution takes place on a secondary carbon, and it is named with the suffix -one. Fig.2 General structure of: left: ketone; right: aldehyde. An aldehyde can be cyclic when an aldehyde group is directly attached to a ring. In naming these types of compounds, the suffix –carbaldehyde is added to the name of the cyclic compound. Fig3. Example of a cyclic aldehyde. Aldehydes and ketones are prepared in the by oxidation of the correspondent alcohol, where the -OH group is oxidized or dehydrated (transformed) to =O. Fig4. Generic reaction of formation of ketones and aldehydes from an alcohol. Aldehydes get easily oxidised to carboxylic acids by HNO3, KMnO4, K2Cr2O7, or even by a mild oxidising agent. As ketones don't have that hydrogen atom, they are more resistant to oxidation when compared to aldehydes. They are only oxidised by powerful oxidising agents which have the ability to break carbon-carbon bonds. Aldehydes and ketones, having an H or a C bonded to the acyl group, can’t participate in nucleophilic substitution reactions because these two atoms cannot stabilize a negative charge and therefore cannot act as leaving group in nucleophilic substitution reactions. That said, reactions of aldehydes and ketones are limited only to nucleophilic addition reaction. The attack of the nucleophile happens on the electrophilic carbon atom thanks to the partial positive charges and becomes somewhat electron-deficient because of the pull of oxygen atoms to the electrons. Since the H and C atom in the substituent is not a good leaving group, only addition of the nucleophile occurs. 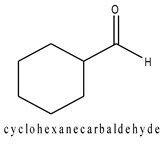 These carboxylic acids are a group of carbonyl compound where the C of the carbonyl group is attached to an – OH group. Carboxylic acids do not give reactions of carbonyl groups as it enters into resonance with lone pair of O of -OH group. They dissociate in water to give resonance stabilised carboxylate anions and hydronium ion. The carboxyl (COOH) group is so-named because of the carbonyl group (C=O) and hydroxyl group. Scheme1. Dissociation in water of the carboxylic acids, and the formation of the resonance structure. The strength of the acid is expressed in terms of the dissociation constant (Ka), also called acidity constant. A stronger acid has higher Ka but lesser pKa value (pKa = -log Ka). The reason for the acidity of this group of compounds can best explained by a comparison of their acidity with that of the alcohol, as both of this group contain an ―OH group. Alcohols are neutral compounds in aqueous solution, and when an alcohol donates its proton, it becomes a negative ion called an alkoxide ion, RO−. When a carboxylic acid donates its proton, it becomes a negatively charged ion, RCOO−, called a carboxylate ion. A carboxylate ion is much more stable than the corresponding alkoxide ion because of the existence of resonance structures described above in scheme 1, which disperse its negative charge. Carboxylic acid can be amphiphilic (from Greek the word amphi means both) or amphipathic. Depending on the nature of the hydrophilic portion these compounds may form monolayers on the water surface or sphere-like clusters, called micelles, in solution. They can undergo to reduction reactions, with the formation of the correspondent alcohol, or they can be oxidised when the carbonyl group releases CO2. -Formic acid, (this name is due to the fact that ants produce it) is used in leather tanning, textile dyeing and finishing. -Acetic acid (vinegar) is used in the manufacture of plastics, in rubber and silk industries. - Benzoic acid and its salts are used in hospitals as urinary antiseptics. -Our food and our body are full of a particular type of carboxylic acids: the fatty acids.